With winter right around the corner, I find myself repeatedly craving hot chocolate. While hot chocolate is delicious, so are cookies, so Ione of my favorite recipes combines these two winter treats. 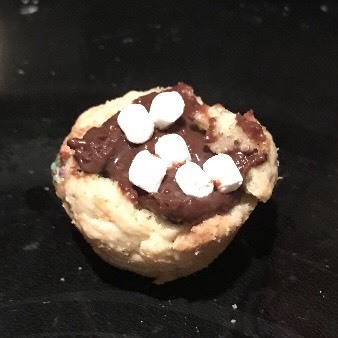 The final product results in a cookie cup with warm fudge filling. There are two parts to this, and it is more time-consuming than the recipe before, but it tastes just as good, if not better. A lot of the ingredients I already had from my last recipe, but there are a couple I had to go out and buy. Add the sour cream mixture, the flour, and the sprinkles to the butter mixture. Beat together until smooth. 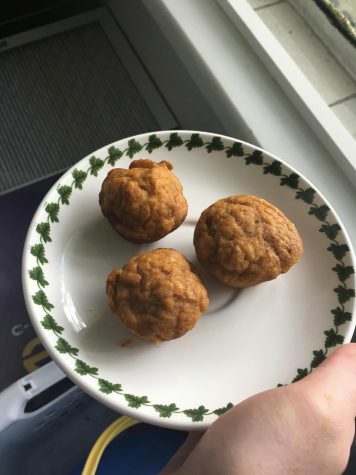 Scoop out small balls of dough and place them in the oven for 15-18 minutes. Once baked, place a small dent in the middle with a spoon for the fudge filling. Let cool for 10 minutes then take them out of the pan. Carefully take out, the bowl will be hot. It may not look very melted, but if you give it a light mix it will all melt together. Let the fudge cool before eating as it may burn your mouth, I know from personal experience as I did not wait. The fudge does look kind of gross, but it tastes very good. Don’t be too disappointed if the recipe doesn’t come out to be perfect; the cookie cups all resembled different forms. 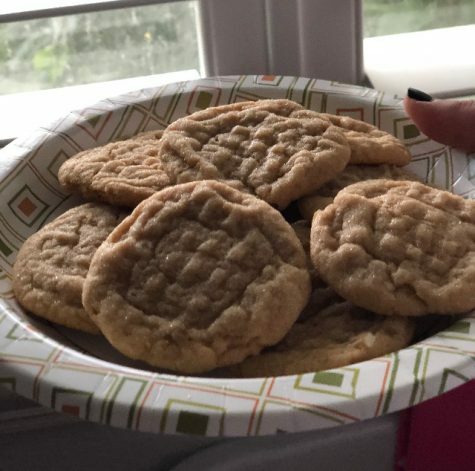 Although the kitchen got a bit messy after I made these cookies, I will definitely be making them again in the future.